Total confession here: I really like dark books, but I'm a total wimp when it comes to horror. For some reason I can handle it better in books, but this one was very creepy and even made me want to read this book in the light. I really enjoyed the different culture and mythology in this one. The ghosts in this story are like humans in terms of good and evil. They choose their nature as we do when we are alive. For the ghosts, however, their horror they extend toward others is shown on how they look to the outer world. Humans are able to hide their evil much better. We get an unusual narrative within these pages. We follow Okiku the ghost from the well. The narrative can be odd at times since she is interested in the living but totally detached. In this way we also become interested in the characters of the book but do not become attached to them. This is deliberate and I liked how different it felt. Usually I have to have some sort of attachment to characters but because this was purposeful, I didn't have problems with it at all. I give this horror book 4 stars. If you want something unusual and different do try this book. 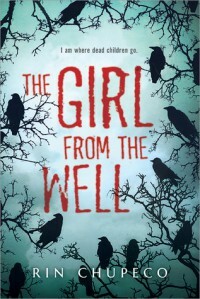 If you are a fan of horror movies like The Ring, then I think this book is for you.